1.) Keep your filter simple means to include your logo or brand name in a quick message resembling the Starbucks filter or with an image displaying what your specialty is similar to the Burger King filter. The design can be as a header and footer, or just a footer equal to the Buffalo Wild Wings filter shown above in the top left. 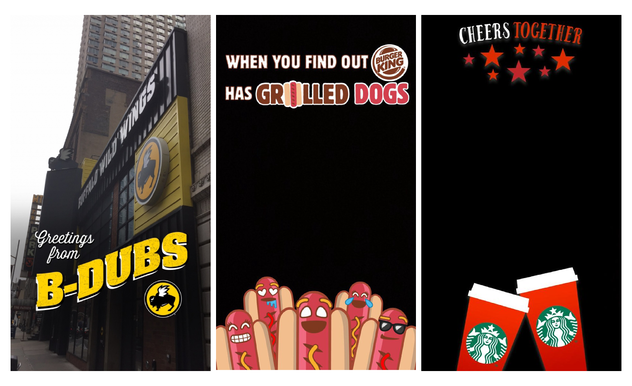 According to Snap Chat, the sponsored geofilters reach 40%-60% of daily Snap Chat users. 2.) Consider time. 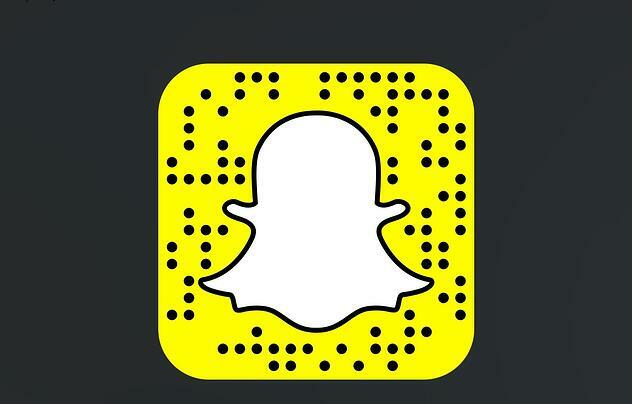 Snaps can be seen at a max of 10 seconds, so you do not want a very detailed filter since it might only be seen for a quick second. 3.) Size matters. According to Snap Chat's guidelines, what you might not know is your filter must be a width of 1080 pixels by a height of 1920 pixels. Also, your filter must be saved as a Transparent PNG - NO BACKGROUNDS. 4.) Know the reach in which you want your filter to generate. You'll have to draw a perimeter on a map determining the range, so be specific. 1.) Making the filter too busy. This will cause your filter to get denied by Snap Chat. 2.) Making a full border around the frame. This can be done but strategically. You cannot have it too wide or you cannot cover the area where a selfie or image can be placed. 3.) Going over the required size of 300KB. This is why it is best to keep your filter simple! More artwork means the size of your file will be larger. Snap Chat filters help in marketing your restaurant without spending huge amounts of money. Your maximum reach at the end of one day could reach hundreds of potential returning and/or new customers to your restaurant. Do not be afraid to jump into the social media market of advertising your restaurant. Go ahead and create your filter or outsource for design help. Either way it will benefit your restaurant.